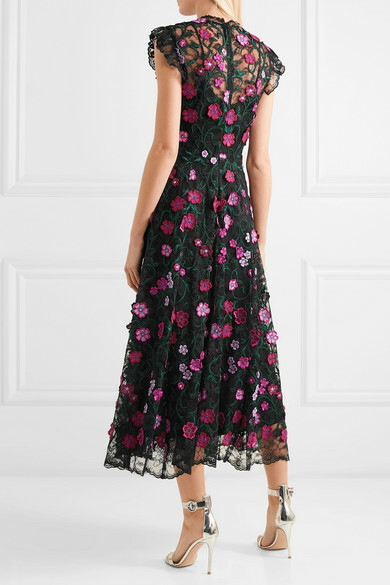 New York designer Lela Rose loves to entertain, so it's unsurprising that her collections are always full of beautiful occasion dresses that are perfect whether you're hosting a dinner party or attending one. 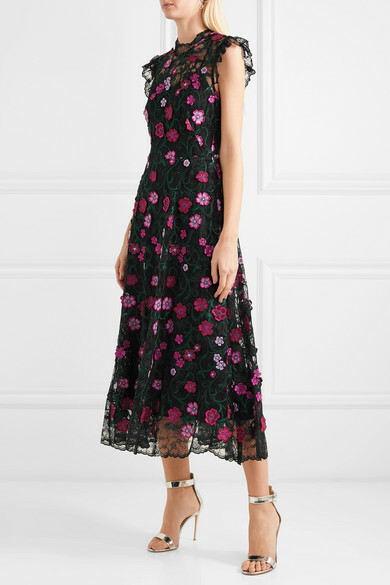 This style is cut from delicate black lace underpinned with a lightweight satin slip, and has an elegant fit-and-flare silhouette that falls to a pretty tea length. 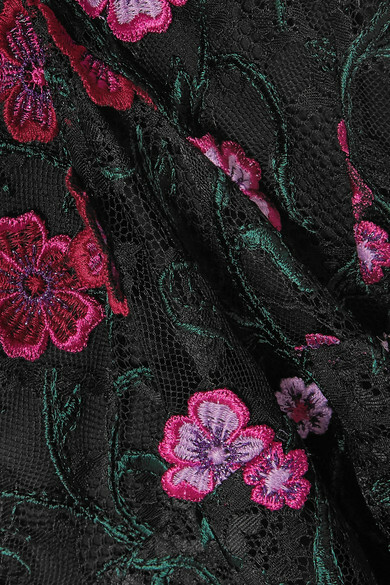 It's intricately embroidered with pink flowers and vines woven with touches of gold thread to create a subtle shimmer. Keep your accessories simple and twist your hair up to reveal its sheer neckline. Shown here with: Jimmy Choo Clutch, Gianvito Rossi Sandals, Charlotte Chesnais Earrings.